It’s now fairly well documented that I started Classics on the Common www.classicsonthecommon.com together with John Tibble and the support of many good friends in The Carpenters Arms Classic Car Club in 1994. What began as a simple evening picnic rapidly grew over the years to become a major event. 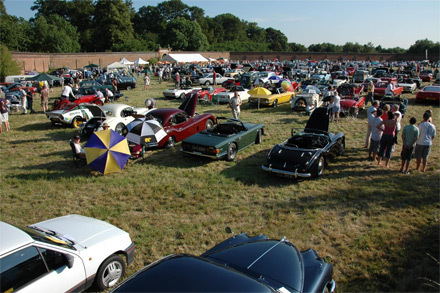 In 2003 Classics on the Common was awarded Best Event of the year by Classic & Sportscar Magazine. In 2008 I announced my intention to step down as organiser and hand the event over to Harpenden Village Rotary Club and my good friends in The Carpenters Arms Classic Car Club. 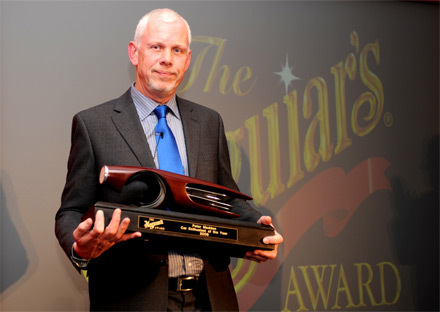 In 2008 I was delighted to be honoured by Meguiars UK as the Car Enthusiast of the Year. I remain a strong supporter of Classics on the Common and I have been happy to assist the new organisers with my experience. In early 2009 I was approached to see if I would consider organising an event in the unique setting of the Walled Garden at Luton Hoo. After one meeting with the owners the idea of Classics in the Walled Garden was born. The capacity within the Walled Garden was set at 350 classic cars and these initial places were taken up within the first 3 weeks. I was then able to identify a second field specifically for classic cars with a separate field for spectator parking. On 1st July 2009 around 500 cars attending the first Classics in the Walled Garden, on one of the warmest days of the year. We were entertained by a fantastic selection of classic and exotic cars. From 7pm music was provided by The New Ambassadors Big Band. A licensed bar was laid on by the Luton Hoo Estate with an excellent range of local beers, Pimms & wine. A hog roast was also provided. The event was very well received by all who attended and was featured in the September 2009 issue of Classic and Sportscar magazine. The event raised just over £2,000 which was divided between the restoration fund for the Walled Garden and Help for Heroes.